So many business owners spend hours every week generating financial reports and trying to manage their books. A lot of the time, they tend to feel like they have nothing to show in the end. Trying to run a business, even a small one can be time-consuming and frustrating. 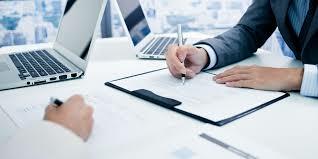 One simple way to tackle this frustration is by hiring Adelaide accounting service that can help with their books and give them back the time they would use for financial reports. They can then use this time to focus on other parts of their businesses. Even though many businesses believe that they can’t afford it, the truth is that hiring an accounting service outweighs the cost. Below are a few of the reasons why businesses should collaborate with an accounting service to grow and strengthen their businesses. There are several questions about taxes that an accountant can provide answers for. 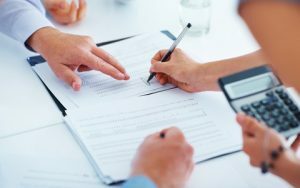 Adelaide accounting services can set up a business entity that better secures assets and provides businesses with better tax advantages. They can set up a financial software, provide a business budget, expense and income categories that operate at your convenience. The time dedicated to business processes and activities will increase and can be better spent towards better business objectives. Protecting clients, new business and customers can be handled instead of being trapped with admin tasks or daily bookkeeping. If you care very much about your business, you would want to start on the right foot. You can then devote your time to helping your business thrive. Dealing with the numbers all the time can be confusing sometimes and tedious. Hiring expert Adelaide accounting services will provide sufficient strategic insight and counseling about business. From pointing out better business structures to analyzing financial plans, they give trusted experience for success. It helps to have extra views and opinion so that you can spend money where it actually matters. Adelaide accounting services can assist you to ascertain areas in your business that can perform better by reviewing cash flow. They can optimize the pricing, business inventory, and needed business financing. Staying current with the different tax law changes is a serious full-time job that way be burdensome for a business owner. Collaborating with Adelaide accounting services will help to eliminate the need to carry that extra work on your shoulders. It is an accountant’s job to stay educated and informed about business regulations and tax changes. By so doing, they will provide you with credits and tax deductions you deserve. These are some of many ways you can benefit from collaborating with an accounting service. Don’t underestimate the importance of an accounting service to your business.